Let’s address the elephant in the room before me move on, shall we? This is the weirdest, most bizarre and slightly nightmarish contraption we have laid eyes on in a long time but stick with it. 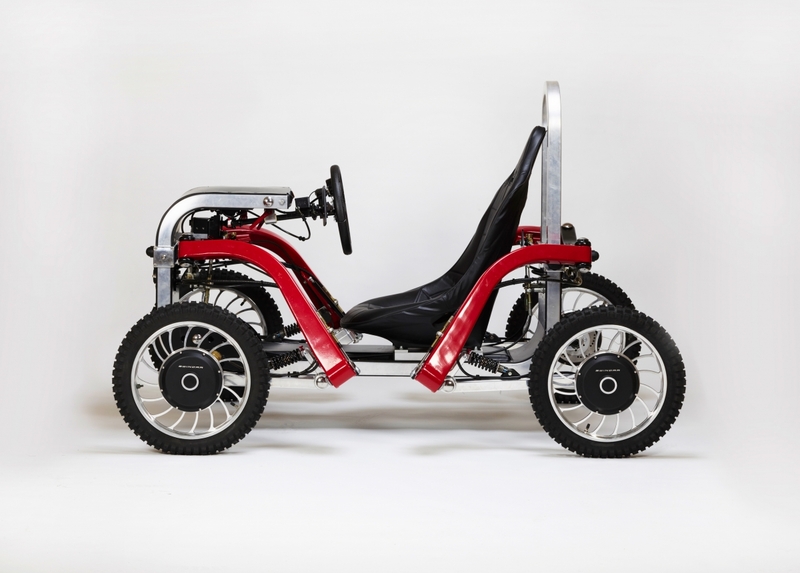 The Swincar E-Spider is the brainchild of Pascal Rambaud and Jerome Arsac, a pair of French designers hell-bent on creating the most insane electric off-road vehicle they could. 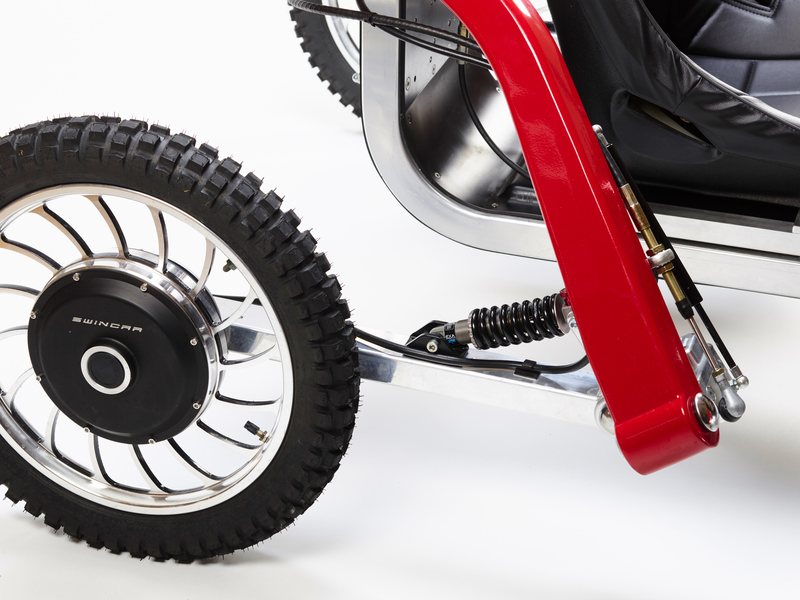 Lo and behold, they succeeded, as the E-Spider is an all-terrain, all-electric, all-wheel drive mud monster that features a patented basic architecture designed to generate what its makers call a ‘pendulum balance’ during turns and on slopes. In addition to this, all four wheels are independently suspended on long, articulated spider-like arms, with each wheel featuring its own electric motor inside the hub for improved grip. 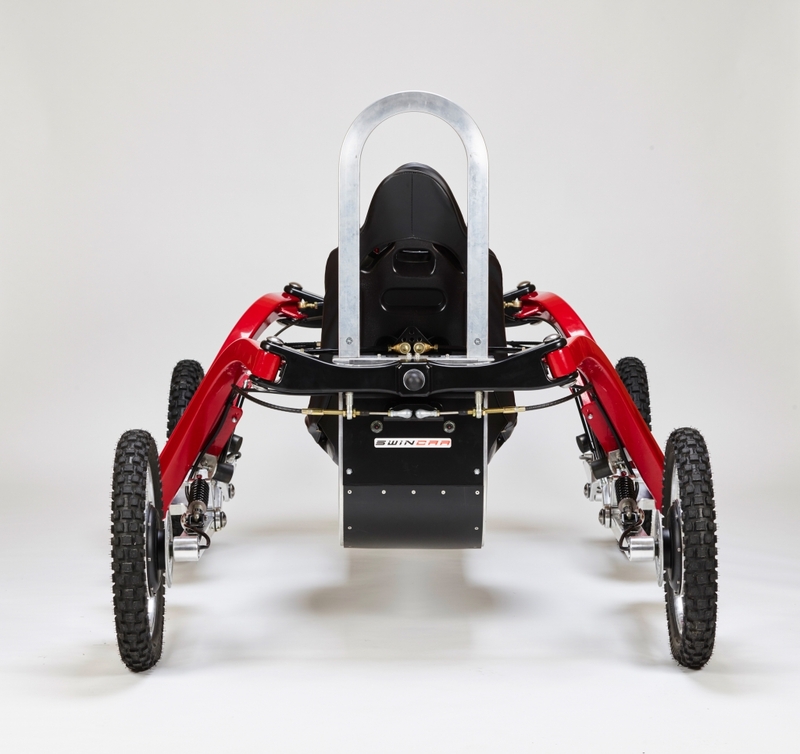 This enables the E-Spider to go up and down inclines as steep as 70 degrees, and to cross ditches diagonally, all while keeping the driver upright. 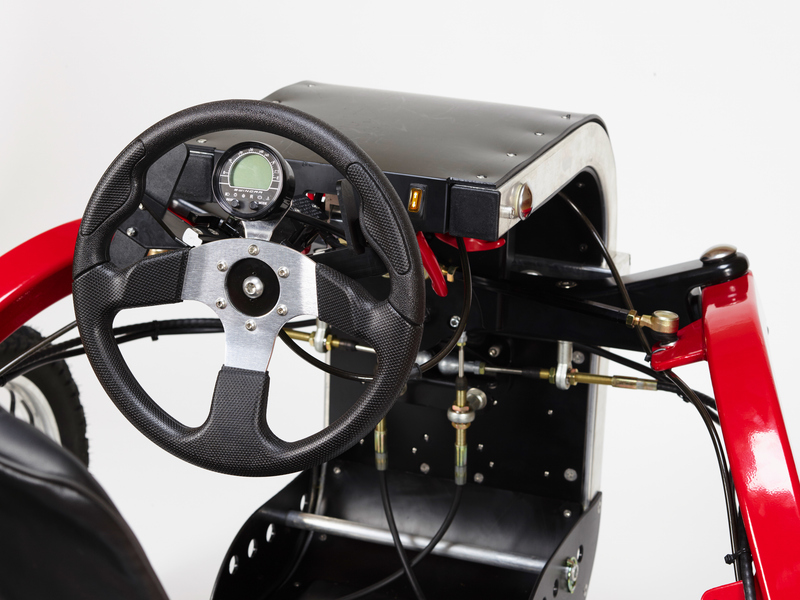 Operating the machine is as simple as pulling on the finger-operated paddle accelerator that’s located by the steering wheel. Similarly, braking is also taken care of via a separate paddle. We are lovers of speed here at Flat-Out and the E-Spider’s measly 18mph max speed could present a bit of an issue, but that’s not really what the E-Spider is about. Instead, the new-fangled 4kWh battery pack is capable of around 60-miles of off-road motoring, or 35-miles if it’s particularly undulating, while charging takes around two-hours from a conventional plug socket. It can wade through 20cm of snow, happily tackle sandy beaches and freakishly crawl over obstacles like some kind of Meccano/arachnid lovechild. Pocket Classics, purveyor of the finest miniature cars on the planet, will sell you an E-Spider for £13,495, which certainly isn’t cheap but it is by far the weirdest way to dispose of your hard-earned cash.